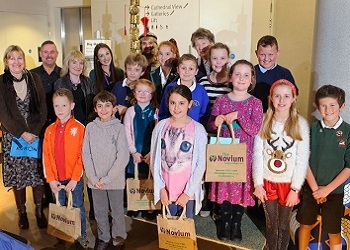 The Novium Museum runs an annual writing competition for local school children. Each year we choose a different theme and pupils are invited to submit a piece of writing to be in with a chance of winning a museum sleepover for their class. To enter, children must produce a piece of writing, no longer than one side of A4. The writing can be in any style - story, poem or play. The competition is open to all children aged 7 - 11. Please feel free to decorate your entry but judging will be based only on the writing.